Ganesh did not take this volte-face by the IHF kindly. On confirming that his choice for deputy coach was turned down, and that Ramesh was in the slot irrevocably, he took the extreme step - resignation from the chairmanship of the Coaching Committee. This happened even before I reached Delhi. This development was a big shock to me. Ganesh was a tower of strength, and by his resignation, I lost an emotional guide. he IHF decided to use the Murugappa Gold Cup tournament for selecting probables for the forthcoming Commonwealth Games. The prevalent practice of selectors witnessing trials for two or three days and then selecting the national team based on such short spells did not yield desired results, according to IHF president Gill. He attributed India's dismal show at the Utrecht World Cup mainly due to faulty selection. Even in the previous year, the Murugappa tournament was utilised by the IHF for a specific purpose. The Indian junior team groomed for the 1997 Milton Keynes Junior World Cup was fielded against the other strong and well-rated senior teams. Surprisingly, the juniors won the Murugappa Gold Cup defeating India's number one team Indian Airlines in the final. With this morale boosting win, the Indian junior team went on to reach the Junior World Cup final the following month, losing to Australia in the final. The field for the 1998 Murugappa tournament was increased to accomodate more nationally recognised teams. Normally, ten teams would be invited for the tournament - five local from Chennai and five from the rest of India. This year, the field was enlarged to sixteen teams. I personally felt that the tournament should have been held in an Olympic format of two pools of six teams each. In such an arrangement, the teams will have more matches on hand, and importantly, only the teams with physical strength and endurance would have progressed to the knockout stage. Such a format would have given adequate time for the teams to recoup, stabilise and improve. However, for the 1998 Murugappa tournament, the teams were divided into four groups of four teams each, in order to fit the duration of the competition. This improvised format had its own shortfalls. For example, Punjab came all the way and played only two matches since one of the teams in its pool - Border Security Force - pulled out at the last minute. Punjab played one bad match and that was it. Punjab found itself out of the competition. I reached a day late and missed even one of the two matches that Punjab played. Indian Airlines went on to win the Cup beating Mumbai 3-0 in the final held on July 25. After a total of 25 matches involving 15 teams, a list of 51 probables was prepared. Though the list was made public on the evening of the Murugappa Gold Cup final, I came to know of the list only after reaching Delhi. That is 48 hours after everyone came to know about the probables list. I would have been happy if the IHF bothered to give me a copy of the list before my departure. Once I saw the list in the newspapers, I found out that Sandeep Somesh, who was declared the best centre-half in the Murugappa tournament, was omitted from the list. But the surprise of surprises was the omission of Charles Cornelius as my deputy. In fact, Ganesh had told me that in a meeting held on the penultimate day of the competition, the IHF had agreed to nominate Cornelius. 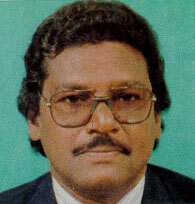 Instead, the IHF named Ramesh Parameswaran was named my deputy. 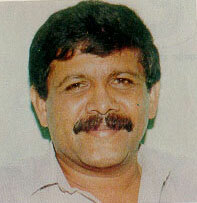 Cornelius and I had worked together in 1989 and 1990 under M. P. Ganesh. I know his commitment and competence. As far as the coaching of goalkeepers is concerned, I feel he is one of the best in the country. A deputy coach has a unique role to play in shaping the players into a crack outfit. He has to have a matching wavelength with the chief coach in terms of strategy, implementation and feedback. Such relationships develop not in a day, week or month, but over a period of time. While I have nothing personal against Parameswaran, and I could have developed an understanding with him or for that matter with any other deputy, I just did not have enough time at my disposal. The probables would assemble in less than a week for a 4-day trial, and the team would be announced the same day. Had it been Cornelius, I would not have wasted any time in forging a gainful working relationship. This development was a big shock to me. Ganesh was a tower of strength, and by his resignation, I lost an emotional guide. My experience with the IHF had taught me one lesson - never to deal with them directly. In the absence of a skillful moderator like Ganesh between me and the IHF, I wondered if I had stumbled even before I had taken the first step.